Mohammad Reza Azimi, Hypercyclic Weighted Composition Operators on ℓ^2(Z), Cankaya University Journal of Science and Engineering, Vol. 14, No. 2, pp. 125-133, 2017. Youcef Sahli, Bariza Zitouni and Hocine Ben-Moussa, Solid Oxide Fuel Cell Thermodynamic Study, Cankaya University Journal of Science and Engineering, Vol. 14, No. 2, pp. 134-151, 2017. Ardam Haseeb Mohammed Ali Kahya and Klaus Werner Schmidt, Clothoid-based Lane Change Trajectory Computation for Self-Driving Vehicles, Cankaya University Journal of Science and Engineering, Vol. 14, No. 2, pp. 152-179, 2017. ISNAD Doğdu, Erdoğan . "Contents". 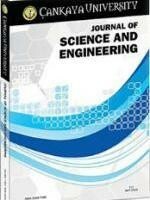 Cankaya University Journal of Science and Engineering 14 / 2 (November 2017): -.